Your electrically operated gate is a valuable part of your security scheme, but its only as good as its UPS. Most security gates or barrier systems are equipped with some form of backup power. A good configuration usually includes a primary power supply with an AC motor and an auxiliary motor. These two motors share the same mechanisms, controllers, sensors, communications, etc. The auxiliary motor has its own independent power supply, and if the primary power fails, the auxiliary power supply will take over and move the barrier as needed without interruption of service. Problems arise when the power provided for the backup motor is inadequate. Many gates have been put in place using substandard off-the-shelf UPS (uninterruptible power supplies). These powers supplies might work for brief outages, but when the primary power is out for an extended period of time, such as a blackout or disaster, the batteries for the backup motor may become depleted leaving the gate inoperable. Several shorter outages may also drain the backup motor's batteries. As a result of this additional strain the batteries may not be able to recharge. For example, California’s rolling brown outs a few years ago gradually depleted the back up battery power in some areas leaving many security gates with NO back up system. Hospitals and other facilities had to leave their gates open or barriers down, compromising their security. 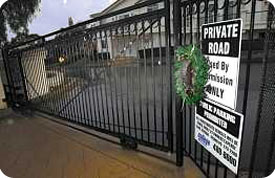 Residents to gated communities had to pry open the gates to enter or leave their homes! ETI's own General Manager even had to disassemble his own community's gate mechanism so cars could get out of the community! All security gates must have manual back up systems and alternative energy back-up systems, such as generator or battery, which would allow operation of the security gate(s) during an electrical power outage. The Installation of a security gate across a fire apparatus access road shall be approved by the fire chief. Where security gates are installed, they shall have an approved means of emergency operation. The security gates and the emergency operation shall be maintained operational at all times. Rescuers were delayed when power outages made this gate inoperable. Click here for the full story. When EMS accessible gates are inoperable, emergency personnel can be delayed causing loss of property or life! Various mounting options are available for back up power depending on your configuration. 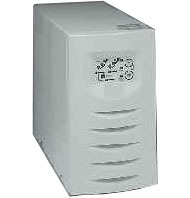 ETI offers a variety of UPS in NEMA cabinets. These are appropriate for gates requiring back up power, but not personnel to control the flow of traffic. The protective cases keep the internal components safe and functional despite variable outdoor conditions. 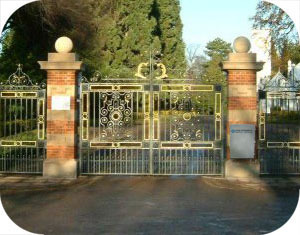 NEMA configurations are used in gates to private estates, rear entrances to secure facilities or gated communities. Many UPS systems are kept in equipment racks supporting vital equipment. ETI's units are built rugged to function reliably in various locations or environmental conditions. These rack systems are appropriate for use in guard huts, central offices or IT rooms requiring back up power, that requires occasional on site monitoring. 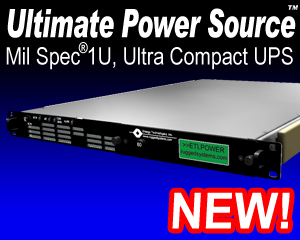 Internal UPS Battery Modules extend UPS backup times. 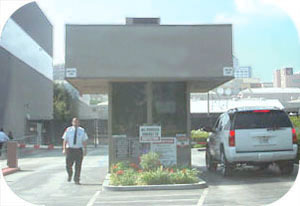 UPS systems kept in controlled environments like offices or control centers back up computers and other vital equipment. 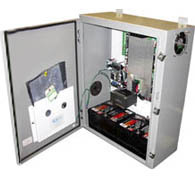 ETI offers a range of these vital products, appropriate for use in air conditioned guard huts, central offices or monitoring stations requiring back up power for computers or other monitoring equipment. 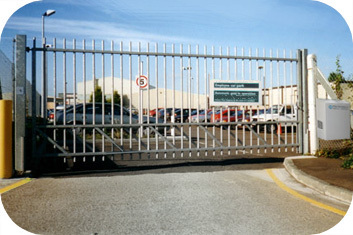 In addition to providing backup power for gates, ETI supports homeland security efforts and other high security facilities by providing our backup power for a number of other security mechanisms that rely on power: high security net barriers, retractable bollards, rising security barriers, high security anti ram raid barriers and more. The reliability of these barriers is often critical in the event of a security threat. The electrical grid is often targeted first in a terrorist attack, leaving electronic barriers and gates vulnerable. These security measures need to remain functional to either raise and provide security when needed most, or to be deactivated to allow access for escape routes, emergency personnel or rescue crews. 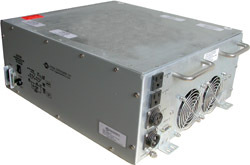 Energy Technologies' (ETI) products are the standard in rugged, high-reliability power conditioning for the industrial, medical, telecommunications and defense sectors. These modular products are customizable and in use around the world. ETI's field proven UPS are ideally suited for industrial, defense, and telecommunications applications requiring high reliability NEMA cabinets, rugged rack mounts, fixed mount or portable configurations. Available in power ratings from 1000 to 10,000 VA, these heavy duty units are designed to occupy minimum space. Internally, all major components are well secured and electrically insulated to prevent damage due to shock and vibration. These units are available for both domestic and international voltages. External LED arrays can keep the operator informed as to the unit's status including load and battery levels. We also offer units equipped with SNMP and HTTP protocols for remote monitoring capabilities. Most power products sold as “rugged” start out as standard consumer products which vendors attempt to "ruggedize". These ruggedized commercial products usually fail due to either temperature, mechanical shock or vibration since they were not designed to withstand these extremes! ETI's products are designed to be rugged from the ground up. ETI’s products have the lowest Total Ownership Cost due to their overall performance and reliability. After the initial product cost, Installation, Training, Maintenance, Spares and Uptime are very significant factors in TOC. Very high reliability means minimal maintenance, which results in minimal manpower requirements. Once the ETI units are installed, they require very little maintenance and negligible spare parts. ETI products are field proven, very high reliability, and maximum operational uptime.